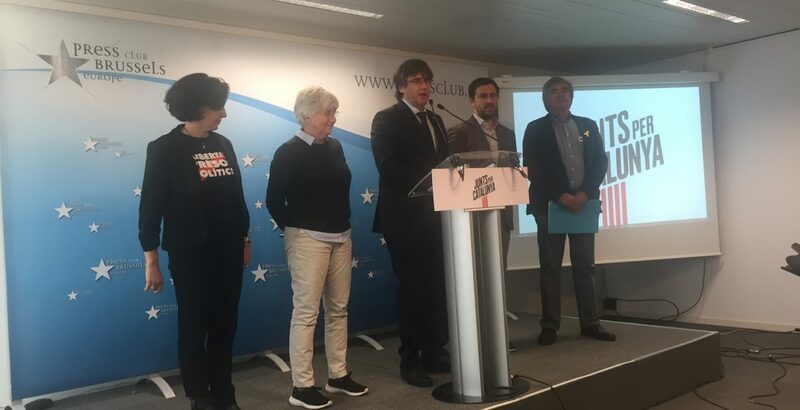 Still living in exile in Belgium, Carles Puigdemont the independent Catalan politician chose the Brussels Press Club as the venue to announce today his candidature for election to the European Parliament in the 23 May elections. Flanked by four colleagues from the party “Junts per Catalunya” Gorka Knorr, Erika Casajoanna, Calara Ponsati and Toni Comin, Puigdemont was upbeat about his chances and thought that the party would win 2 electoral seats. 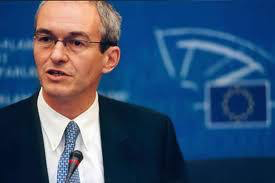 He said that his party embodied Europe’s democratic values, and that he wanted to bring the voice of the people to the centre of the EU institutions in Brussels and Strasbourg. 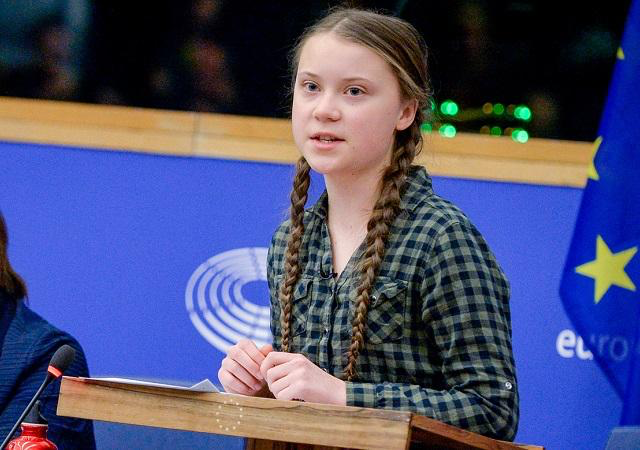 He expressed the importance of the principle of self-determination, and the need to strengthen Europe’s fundamental democratic values through diversity by letting the voice of all the people to be heard. When asked if he would support an application from Scotland to rejoin the European Union, should today’s Brexit Summit in Brussels not prove successful, Puigdemont replied that of course support from the Catalans for Scotland would be forthcoming, and that Scotland and Catalonia were brothers in support of recognising individual citizens’ rights.